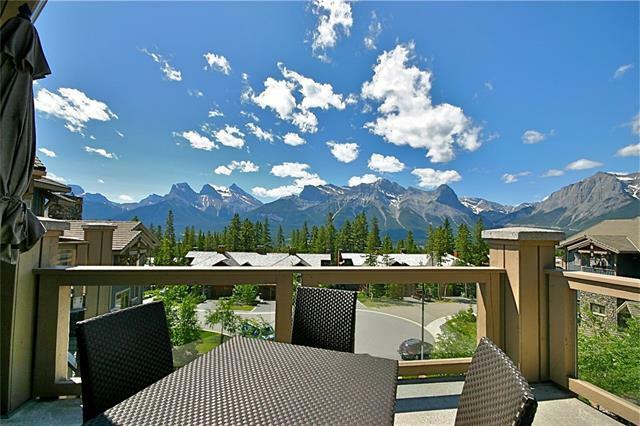 With a commanding view of the Bow Valley, this incredible penthouse apartment is arguably the most luxurious & spacious of its kind in the area. 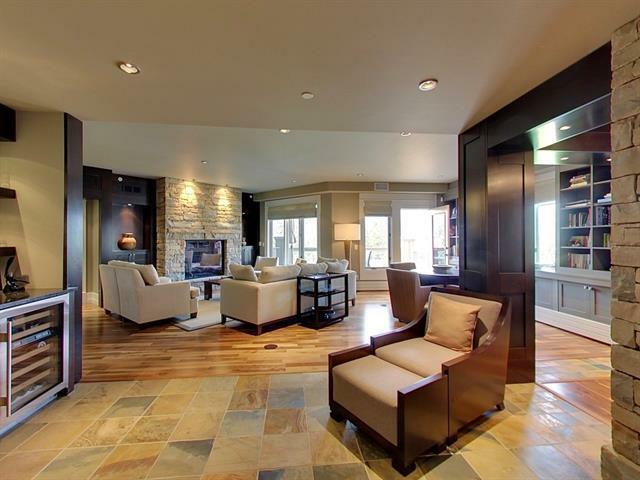 Gleaming hardwood, rock detailing, rich paneling, vaulted ceilings & panoramic vistas are evident everywhere you look. The open plan main living space provides luxury at a glance, with gourmet kitchen, vaulted dining area, through to the living room with floor-to-ceiling fireplace. Located on one side of the apartment, is the master suite, with ample floor area, & en-suite bath richly detailed in tile. A 2nd master with ensuite, along with accessory bedrooms, are both bright & restful. 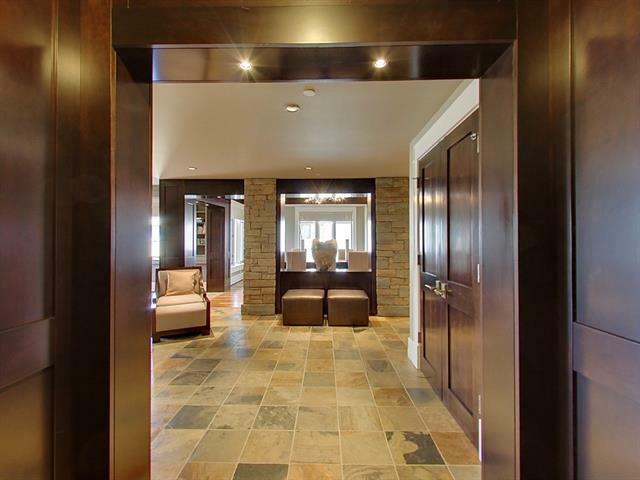 The media room is a standard for such high-end homes, with wet bar, fireplace & walls of windows facing the forest. Possibly the best feature of this unparalleled property are the decks present on all three sides of this end unit, each offering a unique view of the area. Elevator access, 2 titled parking stalls & ample storage is included. Listing provided courtesy of Re/Max Alpine Realty. © 2019 CREB®. All Rights Reserved.